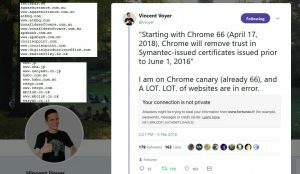 Unfortunately it turns out that APS Bank is one of many websites Chrome will be labelling unsafe next April. Also, HSBC Bank Malta, Lidl Malta and Next will be labelled unsafe next October. According to computer security engineer Arkadiy Tetelman, who works at Airbnb according to his blog, out of one million websites he tested, just 11,510 are going to go be labelled unsafe in April, with 91,627 which will be blocked next October. APS Bank is one the text list of unsafe domains which can be found here. 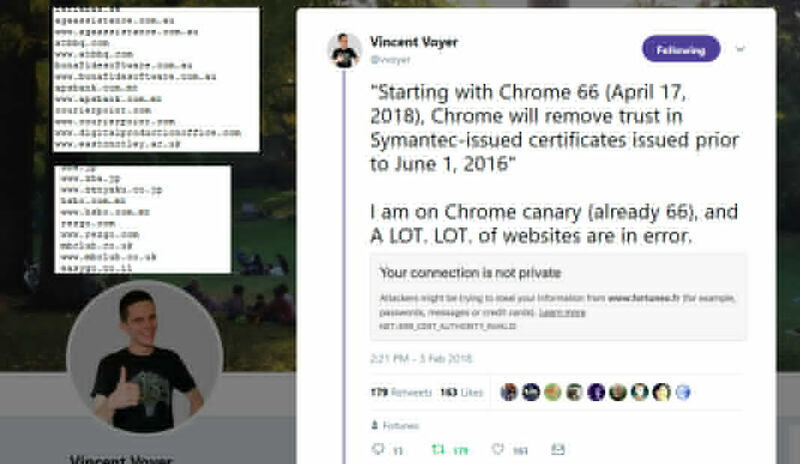 The certificates of these domains will be untrusted from next April. Similarly, HSBC Bank Malta is on the list of unsafe domain certificates which will be untrusted from next October. It can be found here. I wrote to APS Bank, Lidl Malta and Next Malta via Facebook to let them know of this. HSBC does not allow messaging. UPDATE: APS Bank and Lidl wrote to me informing me that they are working on the issue. Great news!